Howth Yacht Club, competing at their first 2K event, had a slow start getting in only two races of their round robin on Friday. With more breeze on day 2, skippers Simon Rattigan and Geoff Tait were more in the groove of the 2 v 2 racing and they went on to win 4 from 7 of their races. 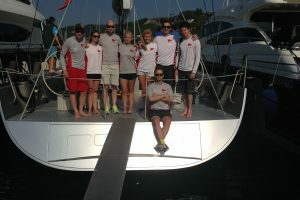 On day 3, the team had the best seats in the house to watch the gold fleet finals, from their luxurious changeover yacht. 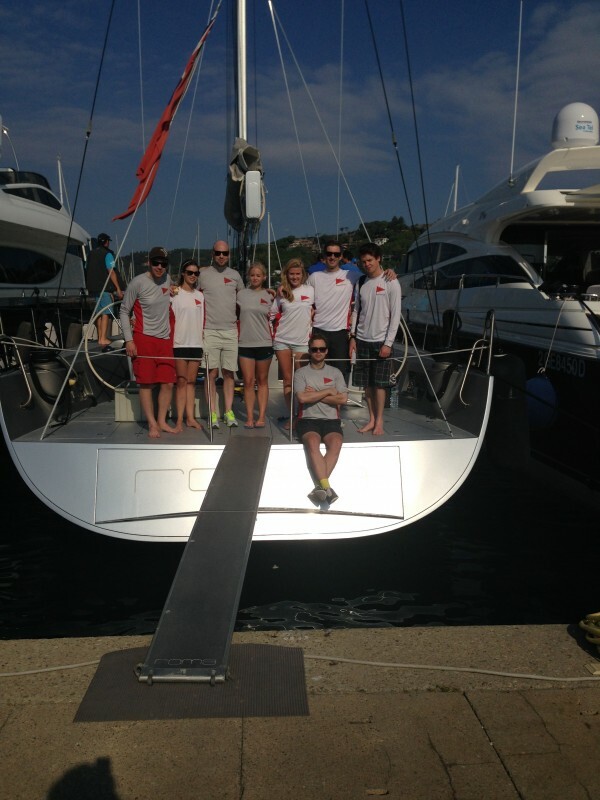 They then took part in the “king of the castle” silver fleet final, and finished the event in 9th place. The Royal Cork were represented by: Fred Cudmore, Emma Geary, Philip O’Leary, Sarah O’Leary, George Kingston, Ian Mc Namee, Philip Mc Glade, and Eimear O’Leary.